Why Do You Need To Update Your Little Girl's Wardrobe This Summer? It is not surprising that your kid will follow your footsteps and learn from your actions. So just as you love to deck up, the little one is also developing her own unique sense for fashion as she grows up every day a few inches. Plus, in today’s fast pacing lifestyle children, like their parents, are more and more getting involved in various high energy activities which are leading them to the exposure of the outside world. So if these are not enough reasons for you to purchase a number of apparels for your little princess, then what will be? Here you will find more reasons that may certainly persuade you to get her new clothes and dresses that she is, perhaps, craving for. Whether you are throwing a party on her birthday or she is attending one, the excitement is nothing less in either case. Amongst all the fun and noise, looking special is what she definitely has in her mind. A midi dress in red and white with a bow on the waist, paired with Barbie shoes makes for a great combination for your little fashion icon. However, for a themed party, you can find Cinderella or Snow white gowns, for instance the ones in blue and cream white hues that she can match with red hair band and shoes. For a small garden party it is the tepid warmth of the early summer when the sun plays peek-a-boo with us that seems to be a right time. This is also time when you teach her about the goodness of fruits and she finds her cravings for certain ones. So looking for such clothes with fruit motifs? 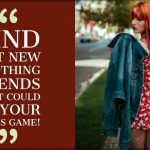 You can visit reputed online girls clothing suppliers where you will come across countless options that are sure to catch your eyes. For instance, the apple or mango prints on the plain white t-shirts not only titillate the tongue but also go well with a casual striped shirt or denim shorts. Since pre-teens like to have their lessons in fun ways, you can bring in that element to their choice of clothes. A pineapple prints skirt in layers, teamed with a grey tee can bring out her summer charms while the ankle-length dress with little pompoms in the sleeves make for a perfect addition to her wardrobe. Now to keep her protected from the sun, gift her colourful scarf. Since many of the reputed kids wholesale clothing suppliers are coming up with innumerable options, retailers must not let go of this opportunity and rather grab their special discounts on select items and spruce up their stocks.